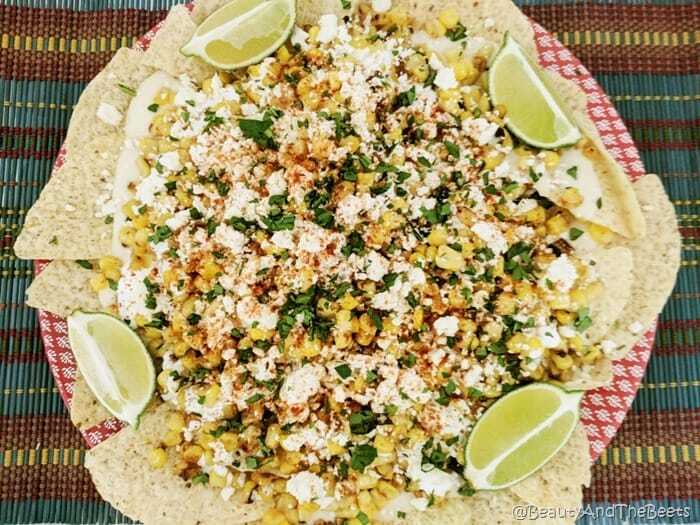 These Mexican Street Corn Nachos are to die for. I know whether I am going to love a restaurant based on its Caesar salad, or an egg roll if it’s a Chinese spot. I want a creamy Caesar dressing with hint of anchovy, creamy being the key word. So many places use a vinaigrette on their Caesar salad and it’s just not the same. And please, I beg of you, serve a Caesar salad with the dressing already in the salad, not dumped on top or <gasp> served on the side. Don’t even get me started. 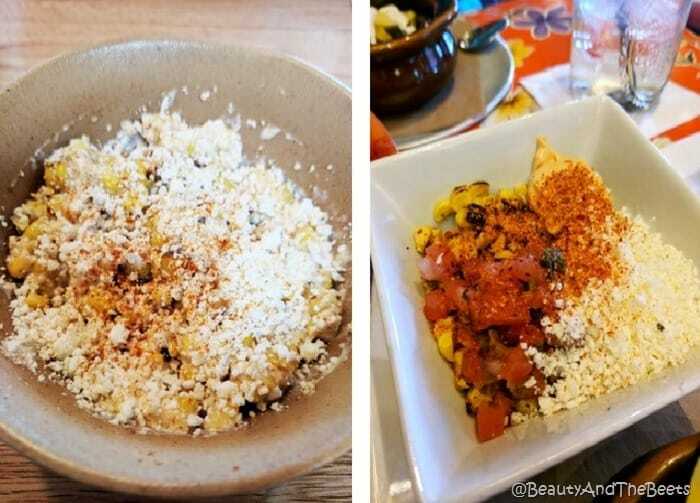 I can judge a Mexican restaurant by its esquites. It needs to be creamy, a bit spicy, and topped with cotija cheese. That’s just my preference, I know everyone likes street corn differently, especially if you’ve grown up on it. Esquites actually means toasted corn and it is popular in shops and street stalls throughout Mexico. I only recently have discovered it and fallen in love. Now I am constantly having to order esquites anytime I find it on a menu. I love when it is served on the cob and I love when it’s served off the cob. Just make it spicy and creamy. As I love to recreate the meals I enjoy while dining out, I thought about how to turn Mexican street corn into more of a meal instead just a side dish. And while nachos aren’t exactly a full meal to most people, it’s a little more significant than an accompaniment. I made Mexican Street Nachos. And they filled both Mr. Beet and I up, and in my opinion, nachos are always a fun meal. 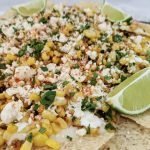 Mexican Street Corn Nachos are easy to make at home. 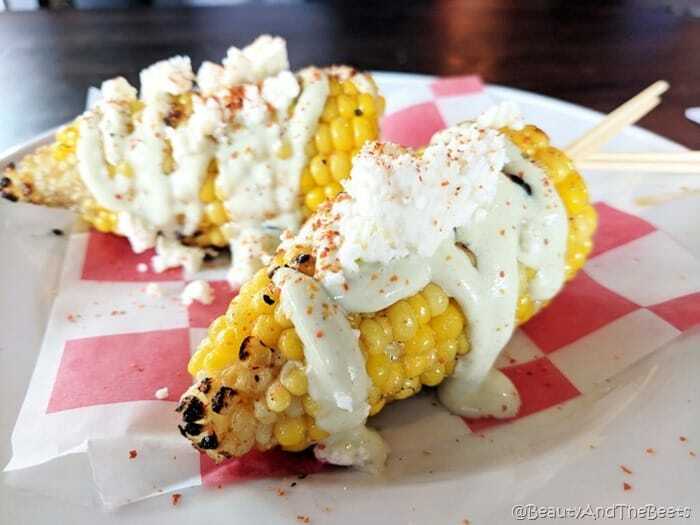 Charred corn, mayonnaise, milk, crema……..Crema is the Mexican version of a French crème fraîche – both are a variation of an American sour cream. If you cannot find Mexican crema in your grocery store, you can substitute sour cream. I also used Vegenaise in place of full fat mayo, and almond milk instead of dairy milk. Not because I tried to make the recipe Vegan, but because it’s what I already had in my house. And to make it even easier, I used frozen corn. Frozen corn chars just as easy as fresh corn on the cob. 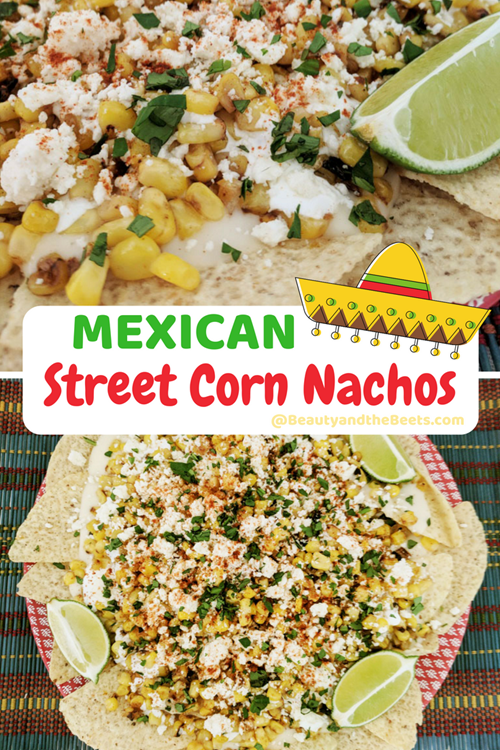 Add the Mexican Street Corn over cheesy nachos and viola. 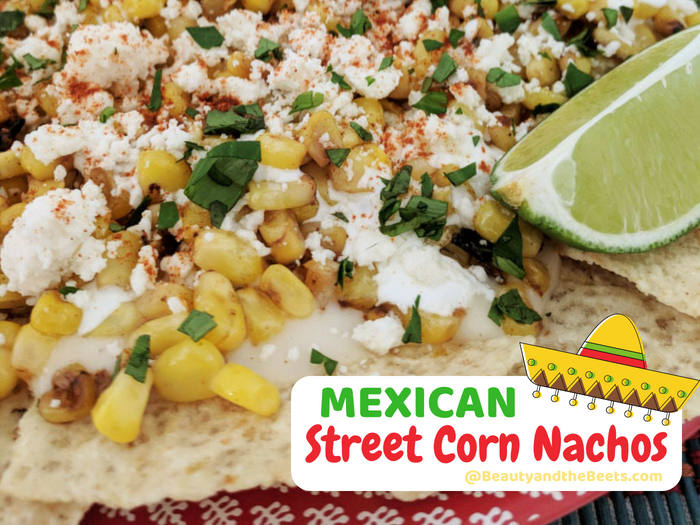 Mexican Street Corn Nachos. I hope you love this recipe as mush as we do here in Beetsland. In a large saucepan, melt the butter over medium high heat. Add the frozen corn and turn the heat to high. Let the corn sit until it begins to char. Stir the corn, let sit to char again. Once the corn is charred enough to your liking (probably will take about 10 minutes), remove from the heat. Mix the mayonnaise into the corn and let sit. In a smaller sauce pot over medium high heat, combine the cornstarch and almond milk. Stir well until the milk begins to slightly froth. Add the shredded cheese in batches, mixing well until the cheese melts. Arrange the nachos on a large serving dish. Pour the cheese over the nachos. 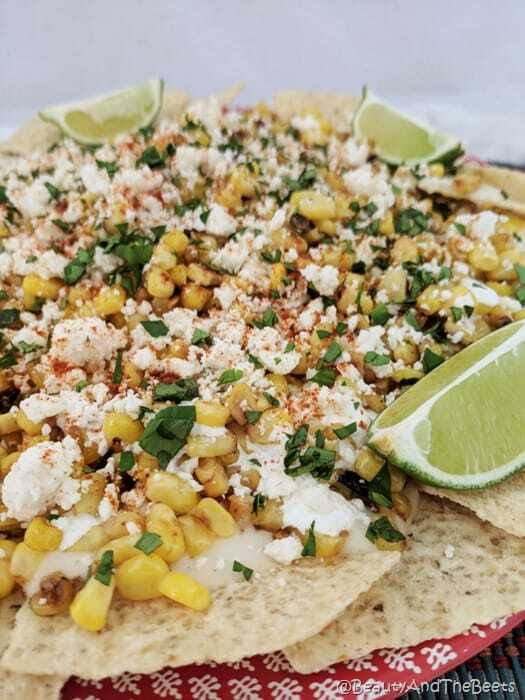 Top the cheese and nachos with the corn and crumbled cojita. Sprinkle cilantro and cayenne for color. Line the plate with the lime wedges and serve immediately. I cannot WAIT to try this recipe. Mexican corn is one of my most favorite things. Thank you for working this recipe out 🙂 I may have to make two versions though one for me as is and one for my Honey who will only eat vegan cheese.